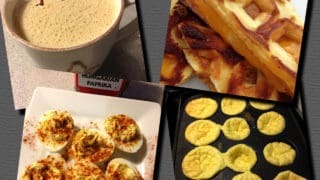 Don’t let doing the Egg Fast cause you to miss out on Pizza Night with the family! 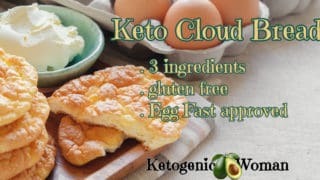 Try these keto mini egg fast pizzas! 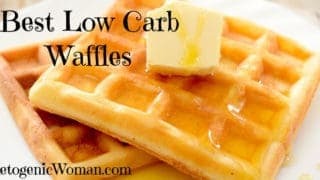 They are a delicious and guilt free substitute to help you make it through! What’s more you can you can customize and tweak this to include your favorite herbs and spices to make this all about you! Experiment away! Then when you are ready to follow the Egg Fast transition plan, you can use this same pizza recipe and simply add some pepperoni and a few basil leaves and voila! 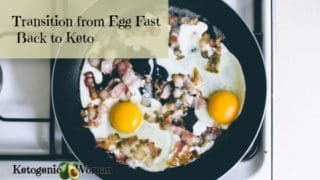 A perfect Egg Fast Transition meal! For those of you who are following the strict Egg Fast rules, be careful with portion control here because this is a lot of cheese! Still, my opinion is if it’s a choice between this egg fast pizza that’s a bit cheese heavy or going for the real thing and throwing your results out the window, well let’s have the cheese. And this is not a small serving anyway, I was stuffed! 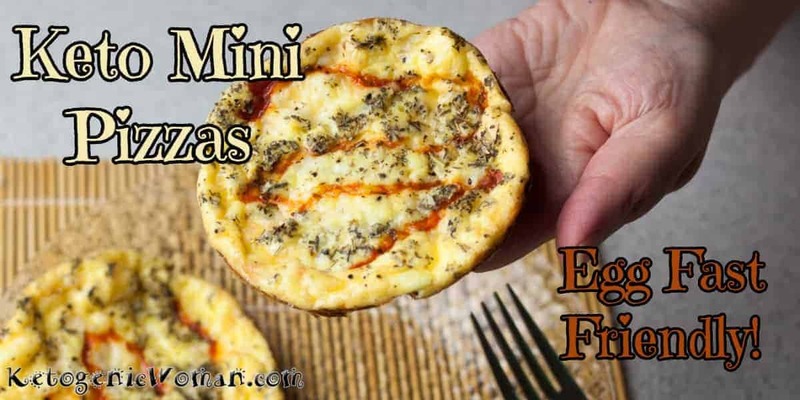 Basically 3 of these Egg Fast mini pizzas will equal 2 eggs, 2 tbsp fat and 2 ounces cheese. So if you are one of those lucky peeps who can handle more cheese, well add another ounce for pete’s sake! 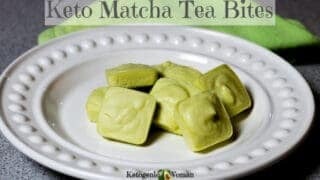 BONUS: This is family friendly so make a double batch! 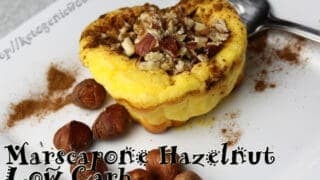 The first time I made this, they disappeared before the pan even cooled down, I had to add extra food to my meal because the teens grabbed them all! Egg Fast Pizzas in my favorite pan! I highly recommend using what is called a whoopie pan or muffin top pan. I have been using this particular pan for ages and I love it. 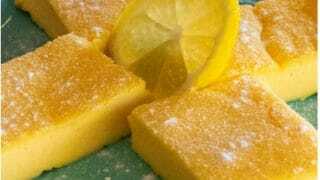 It is also perfect for making those Egg fast cloud breads and Egg Puff Recipes. 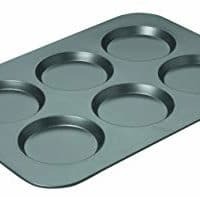 If you don’t have this pan, all is not lost! 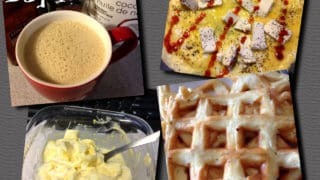 You can use a regular muffin pan or even a pie plate and make 1 big pizza. 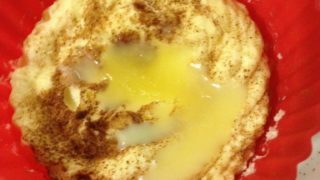 You may have to play with baking time and temperature., especially if you use a muffin pan. 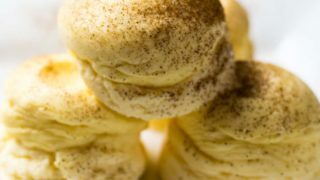 I would probably lower the temp to 350 and bake a little longer. 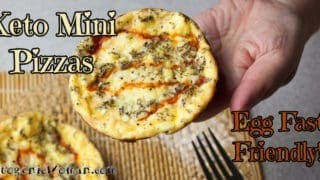 Ok, let’s go, here is the recipe for Keto Mini Egg Fast Pizzas! Don't miss out on Pizza night just because you are following the Egg Fast! 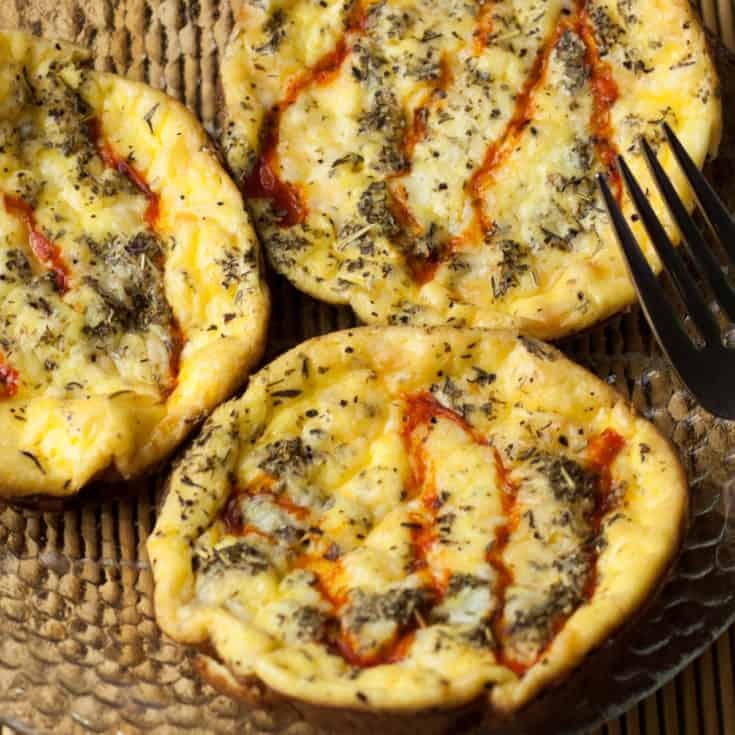 These savoury and delicious mini pizzas will get you through! Preheat oven to 375° F and grease or spray a non stick muffin top pan. Set aside. 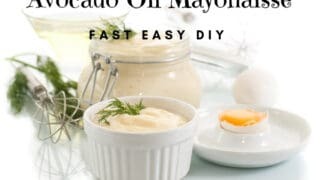 Combine cream cheese, eggs and mayonnaise in a medium bowl with salt and black pepper, to taste, and whisk until mixture is completely blended and smooth. Divide the mixture into the 6 muffin top cups. Sprinkle the parmesan cheese evenly divided over the mini pizzas. 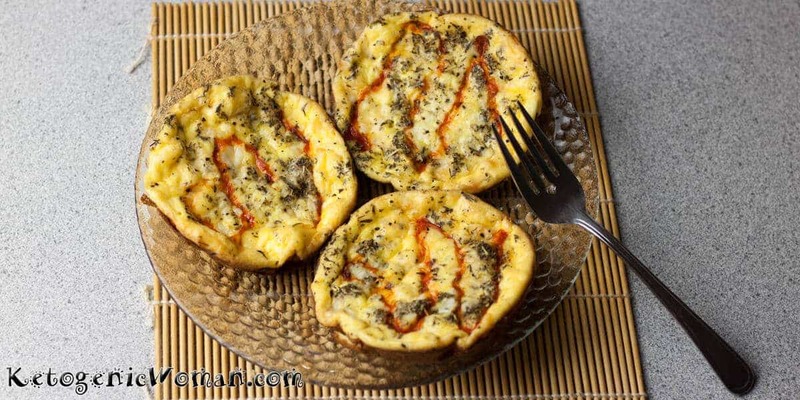 Sprinkle each pizza with the seasonings and garlic and onion powder. 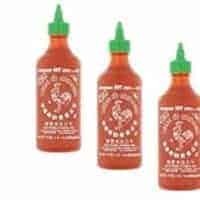 Drizzle each pizza with a swirl of Sriracha. Place the pan in the pre-heated oven for 8-10 minutes, or until slightly puffed and golden brown. They will look puffy like muffins and then deflate as soon as you take them out of the oven. 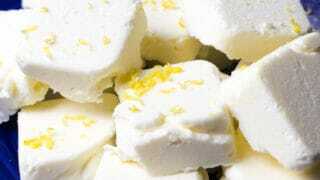 Grab yours fast because these smell amazing and people will come take them! 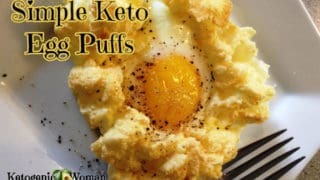 This recipe makes 6 Keto mini egg fast pizzas. 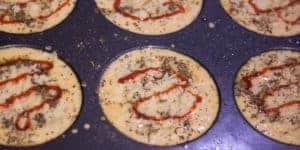 Save these Keto mini pizzas to Pinterest! 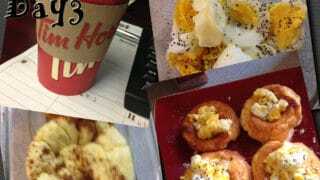 Tagged egg fast, eggs, pizza. Bookmark the permalink.